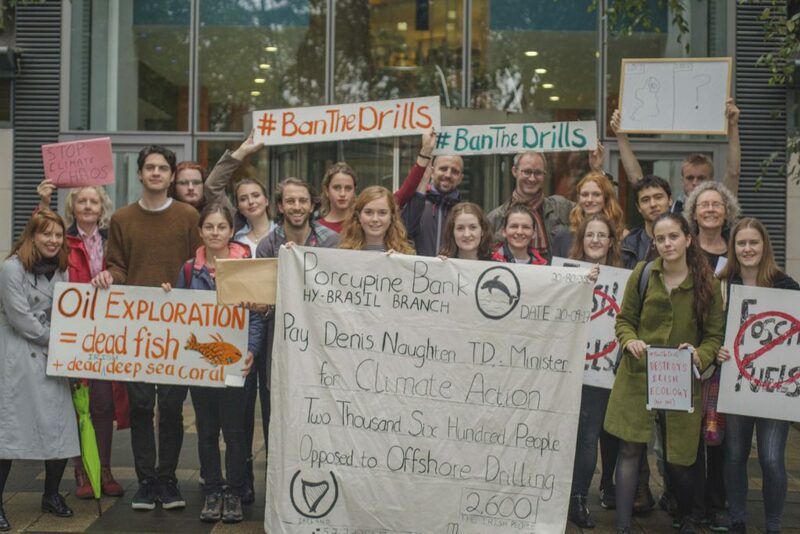 Climate and environmental groups have lashed out at the Minister of State for Natural Resources’ support for an increase in oil and gas drilling in Irish waters. 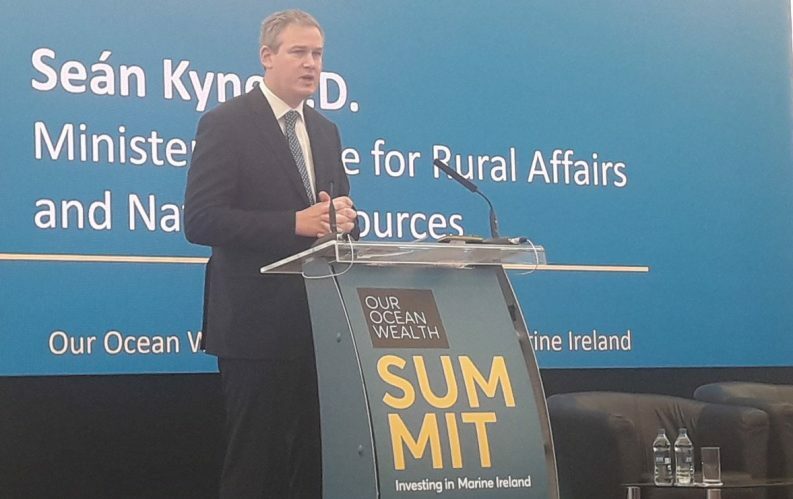 Speaking at the Our Ocean Wealth Summit in Galway today, Seán Kyne, T.D. said that the Government’s long-term intention is to replace fossil fuels with renewable sources. Mr Kyne added, however, that in the medium term the “on-going discovery and development” of offshore oil and natural gas can deliver energy security and be a “very significant economic driver”. There are currently over 40 licences granted by the Department of Climate Action (DCCAE) for a range of fossil fuel, some of which have contracts up to the late 2020s. Since 2010, the State has earned over €18 million euro in revenue from petroleum exploration and production through acreage rental fees and application fees. Profits from the Kinsale, Ballycotton, Seven Heads and Corrib gas fields are also subject to 25 per cent Corporation Tax, while the State has taken in €19.5 million in royalties from the Kinsale and Ballycotton gas fields. Mr Kyne added that 12 out of 14 awarded Licensing Options awarded under the 2015 Atlantic Margin Licensing Round have now been converted to Frontier Exploration Licences. “The number and capability of exploration companies involved is a welcome development and hopefully we will see an increase in drilling and the realisation of our oil and gas potential in the coming years,” he added. Responding to Mr Kyne’s speech, the Stop Climate Chaos coalition said his assentation that oil and gas exploration will help us hit short-term climate targets is a “terribly misleading simplification”. “More licences for drilling means more oil and gas which means locking in more fossil fuel infrastructure and usage preventing greater investment in renewables,” the civil society coalition said. A statement from the grassroots campaign group to stop oil and gas drilling, Not Here Not Anywhere, said that the comments from the Minister for State were “astonishing”. “Oil wells produce toxic chemicals including benzene, arsenic, and radioactive pollutants, and toxic metals such as mercury and lead that accumulate in our seafood supply. Not good news for our oceans or our valuable fishing industry. “More fossil fuels are the last thing we need,” the group said, calling on people to join their family-friendly Protect the Climate event this Sunday “to ask the government to keep it in the ground” and support the Climate Emergency Measures Bill. The People Before Profit Bill seeks to stop the government from issuing any new licences for the exploration and extraction of fossil fuels in the State, both onshore and offshore. It passed Second Stage in the Dail in February despite Government opposition, with 78 TDs voting in favour. Next week, the Oireachtas Committee on Climate Action and Environment will continue its pre-legislative scrutiny of the Bill. While recognising that the Bill may be “well-intentioned”, Mr Kyne said that a blanket ban will “bind us to only importing our oil or natural gas needs” and do little to help meet climate targets.